The director of the Consumer Financial Protection Bureau should either publicly confirm he’ll serve out his full term, or resign, according to a top Republican lawmaker. 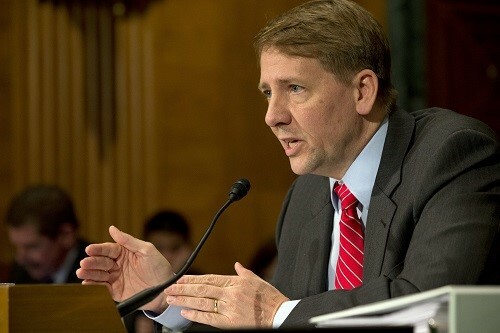 CFPB Director Richard Cordray’s term ends in July 2018. However, the Washington rumor mill is abuzz with gossip that Cordray is considering running for governor of Ohio. If he does choose to run, he’d have to resign from the CFPB, as Ohio law prohibits someone currently engaged in politics from running. While Cordray hasn’t confirmed that he’s considering a run, the rumors have led Rep. Jeb Hensarling (R-Texas), chairman of the House Financial Services Committee, to call on Cordray to clarify his position. Hensarling has long been a sharp critic of Cordray, whom he believes to have too much unchecked authority, and the CFPB. The Finance Committee chairman said in a statement that he’d asked Cordray as far back as March whether he was considering a run for the governorship, according to HousingWire. “He avowed that he had ‘no insights to give,’ even though it is widely reported that he is considering a run for the Democratic nomination for Ohio governor,” Hensarling said. That doesn’t sit well with Hensarling, who said that Cordray shouldn’t be pushing through new rules and regulations if he has no intention of remaining at the CFPB.